Is Lean Manufacturing Green Manufacturing? Toyota Corolla production line. Credit: Toyota UK. 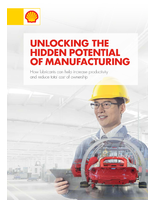 Can lean manufacturing, as exemplified by the renowned Toyota Production System, be a path to greener manufacturing? It would make sense, as both concepts can involve stripping out the waste from operations. A leaner operation will likely consume less energy and fewer resources, resulting in lower greenhouse gas (GHG) emissions and less waste to the landfill. A lower carbon footprint can be an "unexpected windfall" of lean manufacturing, according to a presentation in March at ABB Automation & Power World 2013 by Charles Cohon, CEO of Prime Devices Corp. of Glenview, Ill. "Consider the waste of over-production," Cohon urged in his speech, quoting legendary Toyota engineer Taiichi Ohno, "It is not an exaggeration to say that in a low-growth period such waste is a crime against society more than a business loss." Reading about Cohon's presentation and knowing something about lean thinking, I thought it was an important insight that lean can also be green. In a number of ways, stripping out inefficiencies should also be able to help a company reduce its environmental impacts. So I reached out to Cohon to find out more about the thinking behind his presentation at the ABB event. "In manufacturing, the traditional view of lean is of a way to be more efficient and to improve the company financials," Cohon told me in an interview. If you strip out the waste in a plant, "you'll have less space and fewer employees. These are good economic reasons to launch a lean initiative." But what has been less explored is the environmental benefit of a lean initiative: "It can make you a good corporate citizen from an environmental perspective" by reducing your carbon footprint, Cohon believes. In his conference presentation, which he shared with me, Cohon demonstrated the link between lean and green by adapting a case study from the classic text by James P. Womack and Daniel T. Jones. Cohon showed how the savings realized by Freudenberg-NOK General Partnership (FNGP) from a lean initiative can also be extrapolated into a reduced carbon footprint for the operation. FNGP, a maker of seals and gaskets headquartered in Plymouth, Mich., has implemented many lean projects since 1992, but Cohon focused on a particular operation that the company reduced from 21 workers to three, with reduction in square footage from 2,300 sq ft to 1,200 sq ft. At the same time, the operation increased its production from 1,155 to 1,800 units per month. This resulted in a phenomenal increase in productivity from 55 units per worker per month to 600 units per worker per month. "The economic benefits are pretty obvious," Cohon told me, "but if you look at the same numbers from the standpoint of what effect it would have on carbon footprint, you can see even greater benefits." For example, "going from 2,300 square feet to 1,200 square feet, you've cut almost in half the amount of space you have to provide lights and heat to." 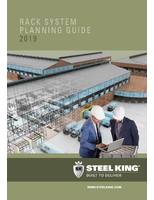 In such a case, a lean initiative can directly improve the environmental performance of a facility by reducing atmospheric emissions associated with things like power consumption, operation of HVAC systems and wasteful industrial processes. Fewer workers means lower wastewater emissions, as well as lower indirect GHG emissions associated with employee commuting. 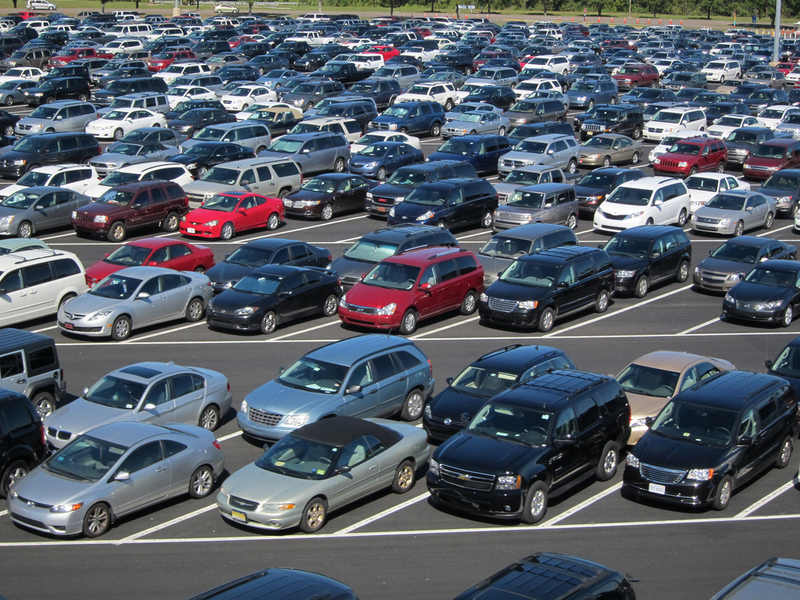 What is the carbon footprint of a full parking lot at a plant? Credit: Joe Shlabotnik. "With fewer workers," Cohon told me, "looking at water usage, think of how many fewer toilet flushes you'll have. Or think of how many fewer cars you'll have in the parking lot. 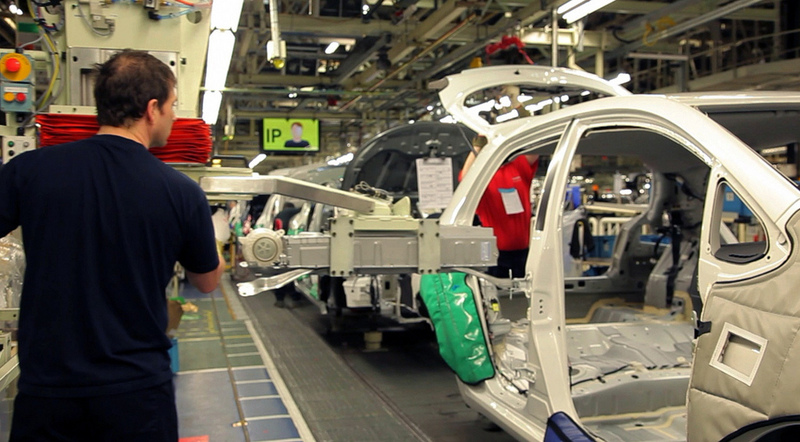 You've cut the number of cars associated with this part of the plant by 84 percent. Lean did it, and that wasn't even the intent. You want to be more cost-effective, but it makes a tremendous impact on reducing the waste in your plant." One of the important lean improvements Cohon cites is replacement of "batch-and-queue" manufacturing processes with "single-piece flow." Single-piece flow eliminates the need to store large batches and move them around. It also means that, if an error is detected, the production line can be immediately stopped and the error corrected before multiple pieces are affected by the error. Introducing such lean processes, Cohon stresses, eliminates waste and cost in manufacturing operations, but it also reduces environmental impacts in tandem. Cohon is not the only lean thinker who has sussed out the connection to sustainability. Peter Hines, chairman of the UK-based lean consulting firm S A Partners, is one of those experts. In fact, with a group of colleagues, he has a book coming out in May on just that topic. Hines and his group have developed methods for adapting lean analytical tools to sustainability efforts. Forrest Breyfogle III, CEO of lean and Six Sigma training and consulting firm Smarter Solutions Inc., agrees in general that lean management can improve a company's environmental performance. Speaking of process improvement in general, he tells me, "some of these things we do are good things financially, and also they're aligned to sustainability -- reducing packaging, reducing transport of materials, whatever things we can do in those areas help the bottom line but are also good for the environment along the way." Breyfogle recommends viewing carbon footprint as "one of the metrics in the value chain." The decision maker wants to "look at what you have for a carbon footprint and then look at the processes that impact that footprint." He recommends "designing experiments ... you might have 15 different knobs in facility and ask, 'How can I set those knobs so I have quality products but in addition reduction in emissions in relation to carbon footprint?'" In a webinar archived on his company web site, Breyfogle says "green" is inherently important: It's "the right thing to do," it "benefits the environment," and it "improves the future." However, a green initiative is going to be most successful if it also "helps business success." In fact, he warns, "If there is not a business benefit, the green initiatives are much tougher to implement." To get organizational traction, green initiatives need to be positive or at least neutral in terms of key company objectives such as profitability and employee satisfaction. Breyfogle also cautions that sustainability can become just another silo in the organization: "We know we need to do sustainability and it ought to be a continuous thing, but you have to have it as part of the overall picture."